iPlay America, Freehold : Download this Offer at iPlay America and SAVE BIG! iPlay America - Download this Offer at iPlay America and SAVE BIG! Redeem this exclusive offer for iPlay America of Freehold as a subscriber to Locals InMotion Offers for iPhone! 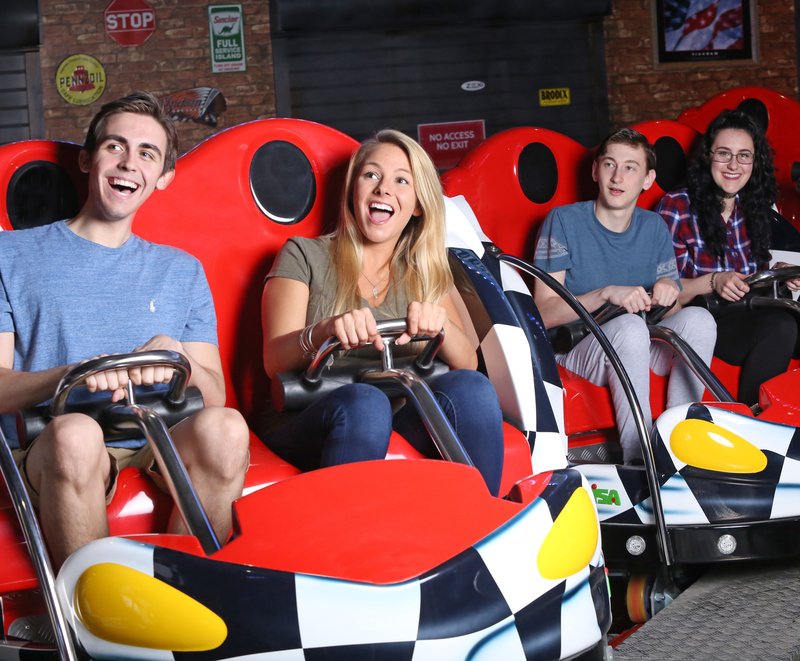 $49.95 for TWO unlimited iRide plus bands, TWO $10 game cards and 250 arcade tickets! This Offer is valued at over $80! Download Locals InMotion for iPhone here! Click our Local Offers tab, subscribe and you've just gained access to exclusive offers and perks that no one has! For park hours, please refer to our website. Not to be combined with any other offer. This offer must be claimed at time of ticket purchase on Locals InMotion Offers for iPhone. Locals InMotion Offers is a premium subscription that gives you access to exclusive offers and perks on Locals InMotion. If your location services are not enabled for our app, you will not be able to redeem your offer or earn any points towards this redemption. Please show this offer to your check-in host at time of purchase and have it validated.